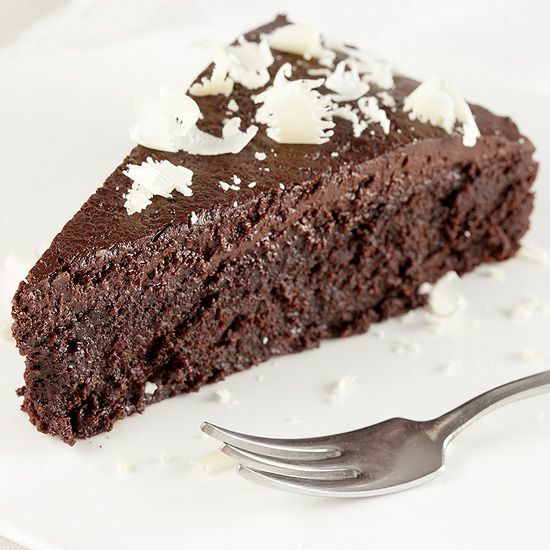 Also called the "Dark Goddess" cake, this gluten-free dark chocolate cake is amazing, even without flour! Recipe for 12 people. PRE-HEAT the oven to 190 degrees celsius or 375 degrees fahrenheit. Use the silicone brush to grease the spring form. Create a bain-marie: FILL a medium-sized pan with a layer of water and place a bowl on top. The steam from the boiling water will heat anything that’s inside the bowl. ADD 340 gram dark chocolate in pieces and butter to the bowl and slowly melt the chocolate along with butter until it’s a smooth mixture. Let it cool off slightly. 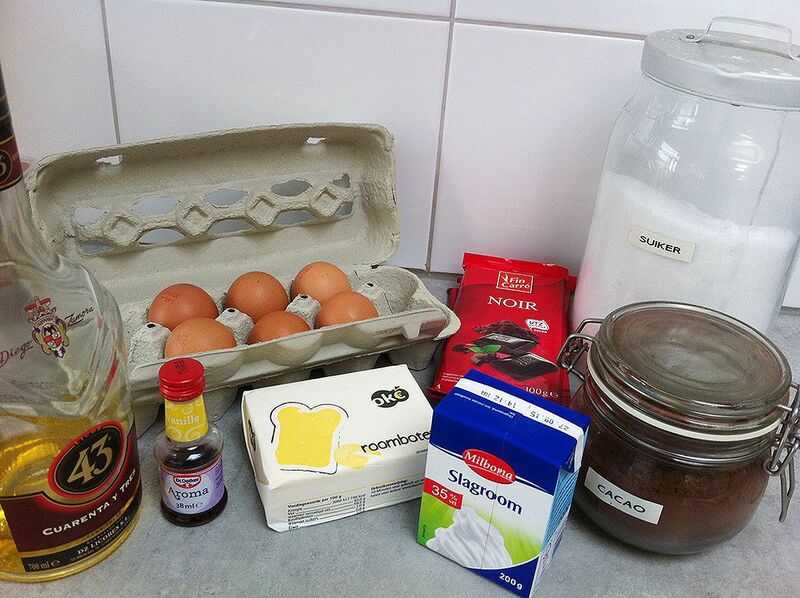 POUR the chocolate mix into the bowl of your standmixer and add the sugar. Whisk slowly until the sugar has dissolved. ADD licor 43 and vanilla extract. ADD the eggs, one at a time and mix on medium speed. SIEVE the cocoa powder and use a spatula to fold the cocoa powder into the chocolate mixture. POUR the batter into the prepared spring form. 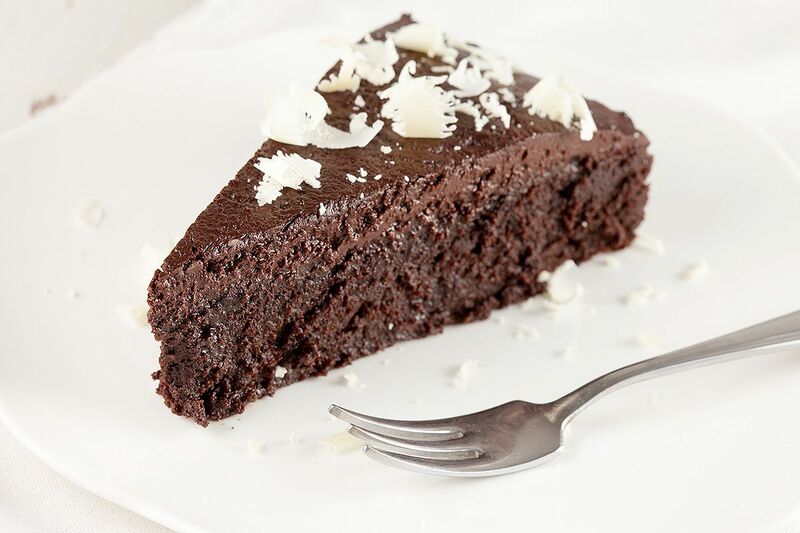 BAKE the gluten-free dark chocolate cake 30 minutes, the cake should still be a bit fluffy, but also firm. Let the cake cool off about 30 minutes and then remove from the spring form. While the cake is cooling off, you can create the ganache for the topping. HEAT the cream on low heat and don’t let it come to a boil. CHOP the rest of the chocolate, 200 gram, very fine. POUR the hot cream onto the chocolate and wait a few minutes before stirring. Then STIR well with a whisk until it’s smooth. Let it cool off slightly before pouring it onto the cake. DIVIDE evenly over the cake and let it set in the refrigerator.